Looking for a car that’s both chic and versatile? 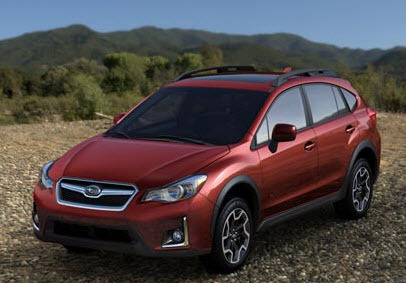 The 2016 Subaru Crosstrek 2.0i certainly fits the profile. When carrying out a new car search, take the time to discover this car’s features and soon you’ll realize it’s a sound investment whether you buy a new model, or certified pre-owned model. The latest Subaru Crosstrek 2.0i offers 2.0-liter SUBARU BOXER® 4-cylinder engine with a highway MPG rating of 31 and a city MPG rating of 23. It offers 148 horsepower and a manual 5-speed transmission. The major difference between the 2015 and 2016 models is the new front end, grille and headlights. The push start buttons now also have added pin code access. Power functionality for all doors, windows, mirrors and locks. USB, iPod and Bluetooth connectivity. Stability control and traction control. Electronic brake assist and anti-lock braking system. Sound like the car for you? Book a test drive with our Olympia used car dealership or chat to us about vehicle finance arrangements to get the process underway. If you would like to get into the driver’s seat of the 2016 Subaru Crosstrek 2.0i – you’ve come to the right place. We offer both certified pre-owned and new vehicle inventory to the Puyallup market and guarantee competitive rates on all of our vehicles.